Your six day worksheet to measure your experience. 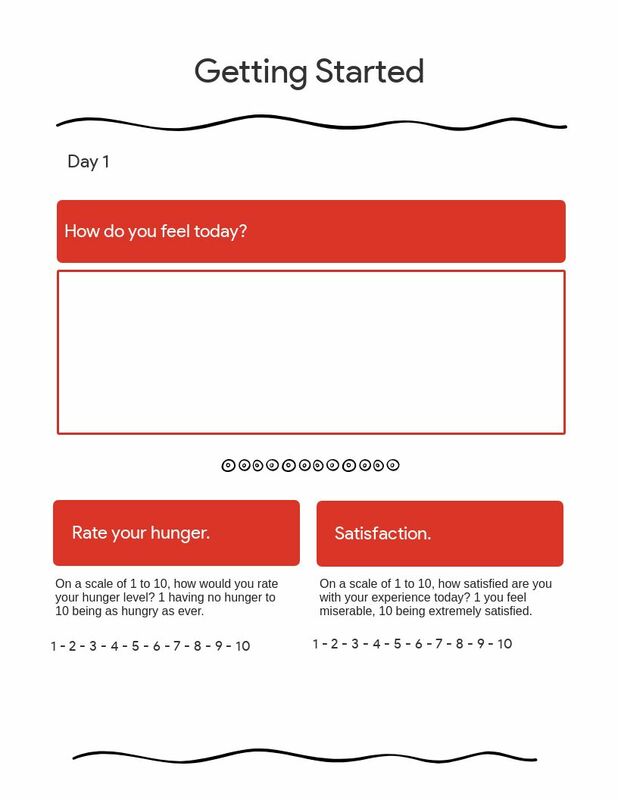 On a scale of 1 to 10, how would you rate your hunger level? 1 having no hunger to 10 being as hungry as ever. On a scale of 1 to 10, how satisfied are you with your experience today? 1 you feel miserable, 10 being extremely satisfied. On a scale of 1 to 10, how satisfied are you with your experience this past week? 1 you are unsatisfied, 10 being very satisfied.